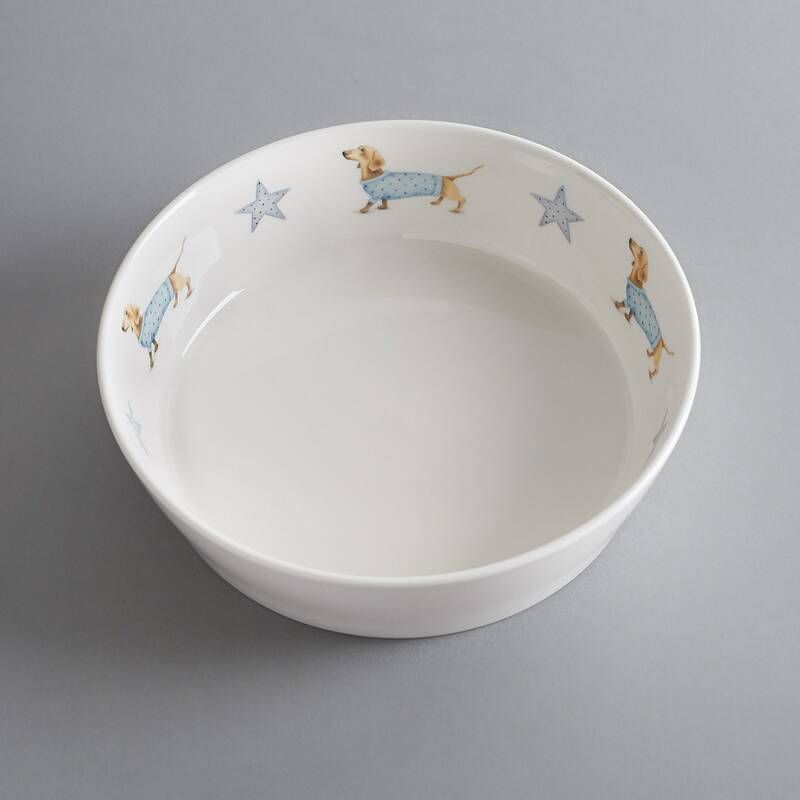 A beautiful bone china dog bowl hand decorated with an Sausage Dog and little blue stars. 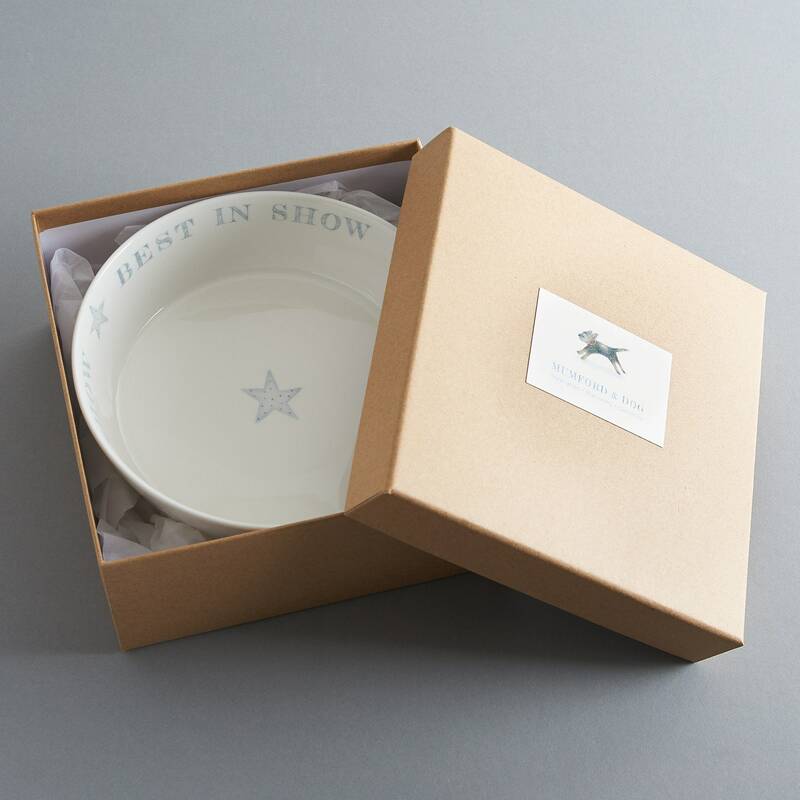 The images are taken from my original illustrations and made into ceramic decals. They are then applied by hand to the bowl and fired overnight for a permanent finish. 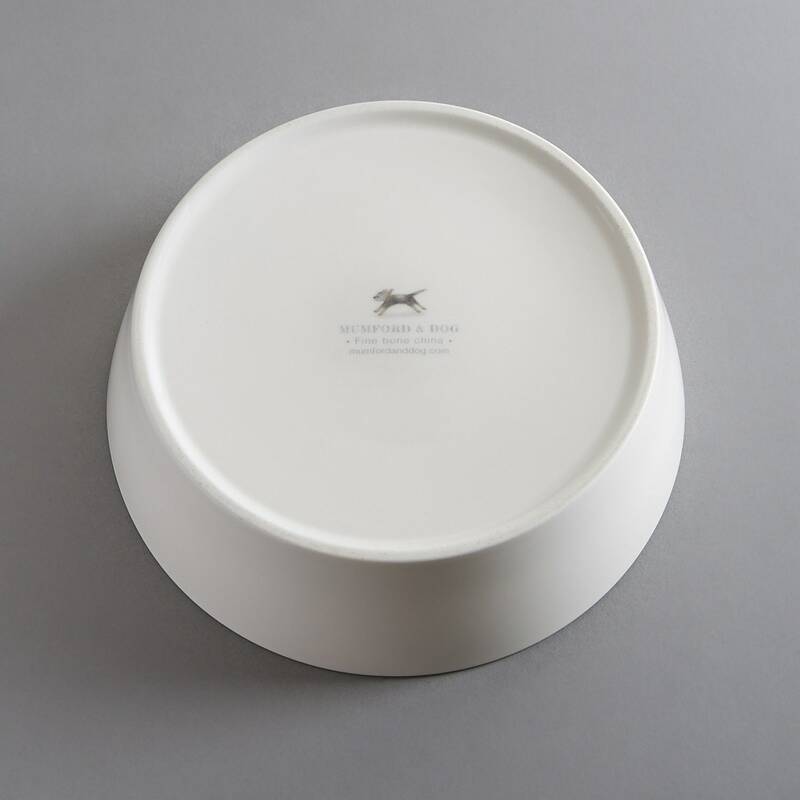 The bowl is a lovely creamy white and perfect for the discerning Dachshund owner.